Introducing Midnight Oil's Overflow Tank from Sony Legacy and Sony Music Australia. This treasure trove for true fans includes over 14 hours of previously unreleased and currently unavailable sound and vision from throughout Midnight Oil's stellar career. As with its companion piece the Full Tank, the Overflow Tank is made out of recycled materials and housed in a miniature replica water tank like the one seen onstage at so many Midnight Oil gigs. It is the ultimate Oils collection containing one CD of unreleased studio recordings, one CD of unavailable B-sides and rarities plus 2 live CD,s drawn from iconic shows across two decades. It also includes 8 DVDs; MTV Unplugged, a live concert from South Africa,s Ellis Park, and Only The Strong, a behind the scenes documentary about the making of 10, 9, 8, 7, 6, 5, 4, 3, 2, 1” (all previously unreleased). plus the films Black Rain Falls, Oils On the Water, Saturday Night at the Capitol, Blackfella Whitefella and a special bonus DVD with rare and unseen live footage from 6 different shows. 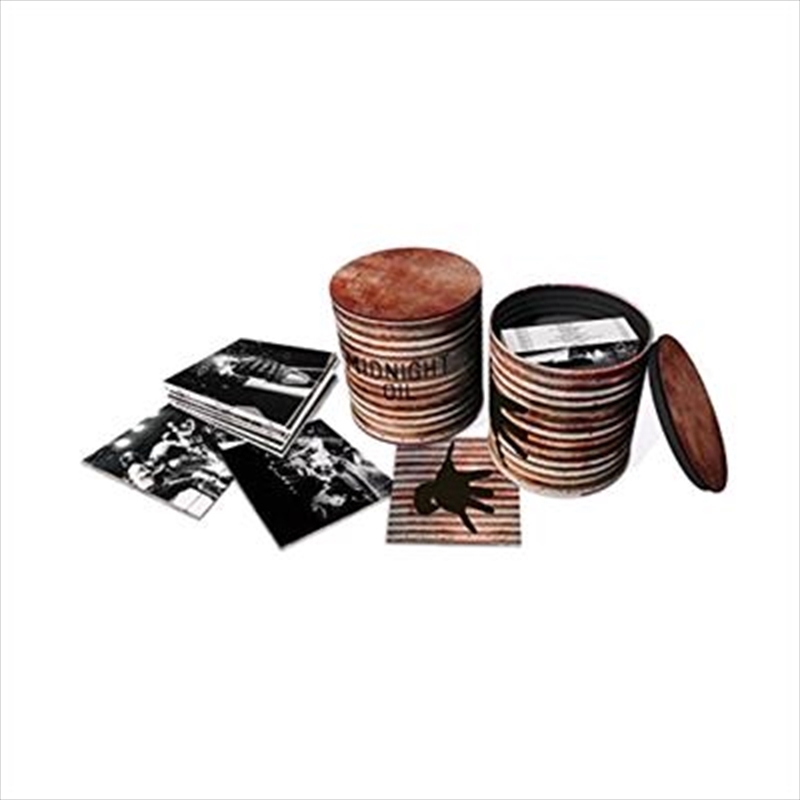 Each of the 12 discs has its own new unique artwork and the tank also contains a deluxe 36 page booklet containing rare photos and an exclusive 5000 word essay about Midnight Oil by renowned Australian writer, Andrew Stafford.